I feel very happy that I chose Network Bulls for CCIE R&S training. Network Bulls trainers are very professional and supportive, Labs are well equipped and Placement record is wonderful. Network Bulls is known for its Placements. We have provided 10 Times more Placements than any other Cisco Training Institute of India. With 14+ Best Placement Awards, our 90% of business comes from Word of Mouth publicity and Referrals from our old placed students. We are India’s only CCIE Training Institute to provide hundreds of Video Testimonials as proof of placements. This page is updated every 15 days with fresh placement records and video testimonials. Lets meet some shining stars of NB who did CCIE course 5 years ago and are now getting 15 to 25 Lacs packages in India. 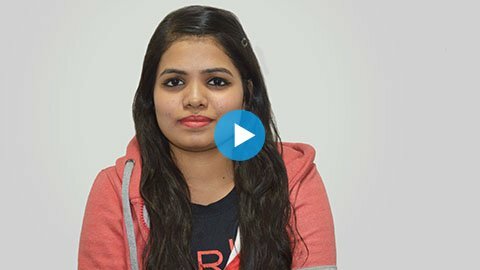 With over 100 Network Bulls Students working in countries like USA, Australia, Canada, UAE and more, lets meet some of the students who initially worked in India for 1-2 years and then shifted abroad with amazing career opportunities. I joined Network Bulls for my CCIE R&S Training, all the concepts was trained to me from the scratch. We started from CCNA to CCNP and then CCIE R&S. Everything was available there, upgraded routers, switches, firewalls, voice devices, etc. and it was open to us for 24*7. Later, after the completion of my training I got placed at my dream company, Cisco, Australia. I did my CCIE Security Training from Network Bulls. I was trained from the very basic of Cisco Security from the most experienced and expert CCIE Trainers. The NB team treated me like a family; they constantly supported me, motivated me and pushed me to work harder whenever necessary. Now I am working at one of my dream companies at Canada. I did my Cisco CCIE Voice Training from Network Bulls. While joining the institute I used to believe that clearing CCIE Examination is next to impossible but I proved myself wrong by earning the CCIE Voice Certification #41215 in the first attempt. Now I am successfully working in a reputable networking company in Canada. My name is Rishi, I enrolled myself for CCIE Routing and Switching Training at Network Bulls. Network Bulls team constantly motivated me and pushed me to work harder towards my goals. Everything around me was about learning and achieving and something and I became the same. So now, I am currently working as a Sr. Network Engineer in Johannesburg, South Africa. My name is Pravin Mishra and I joined Network Bulls for my CCIE Security Training. After joining this institute I got all the support I needed in terms of technical training, cracking interviews or communications from here. And today, I am working as a Sr. Network Security Engineer at Qatar with a handsome salary package. My Name is Jasir. I enrolled for CCIE Security Training at Network Bulls. Here we got upgraded devices to practice. NB treats you like a family, and now I am working as a Network Solutions Architect in Seven Seas Computers in Dubai successfully. All thanks to Network Bulls! I enrolled at Network Bulls in CCIE Security. I have all the facilities here at Network Bulls to study for CCIE Security like the latest Cisco devices, 24*7 access to the Labs, World class trainers to clear all the doubts and also the assistance for the placement. I have got so much confidence from Network Bulls. Post completion of the training I have got placed here in Australia. I am Harjot. I am one of the students of Network Bulls who has successfully placed in one of the best companies in the World and so I am in Canada. I am lucky that I enrolled at Network Bulls in CCIE R&S. I utilized my time because in Network Bulls all knows the value of time and gives the quality pedagogy that does not let the students divert their minds from the bull’s-eye. Hey, my name is Vinod Saini and I feel proud on my decision that I registered myself at Network Bulls; a great place to give your career a set of wings. I took the training for CCIE R&S. I have got excellent training from the trainers and they made me acquainted with the concepts of technology. After the completion of the training now I am placed in America(North Carolina). Hey guys, I am Tijo Thomas and I enrolled NB Expert Security. My experience of Network Bulls is really wow. The training experts have tremendous knowledge and clear all the qualms within a snap. After my training was over I have got positioned in one of the best companies in Riyadh(Saudia Arabia). My name is Shadab. I had registered myself in CCIE Security at Network Bulls. The best place to get the detailed training according to the Cisco syllabus. The trainers make you well train before you join any company. It builds a different kind of confidence when you love what you work and here at Network Bulls I have learned how to enjoy the work we are doing. Now, I am placed in Abu Dhabi (UAE). Hi, I am Melvin. I had enrolled at Network Bulls in CCNP Security and I have got an opportunity to work here in Qatar as a Network Engineer. It’s all because of the cooperation and abilities of the staff members of NB. I would like to thanks Vikas sir, Baldev sir for their cooperation and thanks to the NB management to give the students 24*7 access to Labs.